Telefónica Educación Digital, the education branch of Spanish telecommunications company Telefónica, arranged a contest for students in the fields of Science, Technology, Engineering and Math (STEM) for the second year. While the 2016/17 edition of the contest was launched only in Spain, 2017/18’s took place in Latin America as well. Just a week ago, the jury came to the final result for the current Spanish edition. 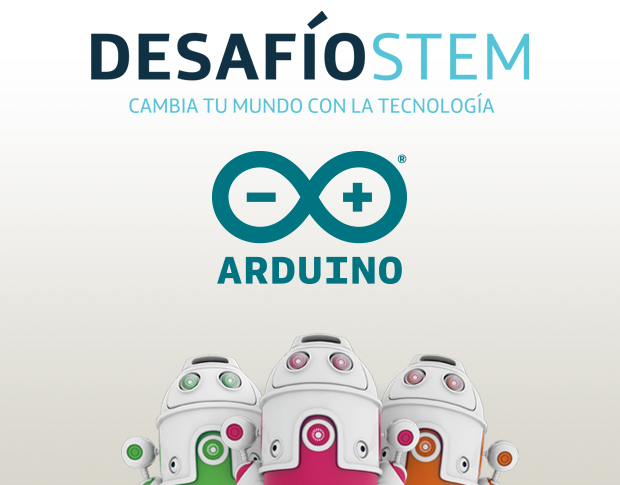 In the first edition, we in Arduino Education created an educational kit and content to assist a team of mentors that would in turn work with teachers all across Spain in helping them building projects within the limits of the contest. In the 2017/18 edition, we collaborated on a series of webinars for teachers hosted last fall. In both editions, I have acted as one of the jury members. The level of projects is pretty high in average. Considering that many of the participants come from secondary schools, it is quite impressive to see how they embrace the latest technological developments like IoT or VR and make meaningful projects out of those. The winners of the Spanish version of the contest are invited to a trip to CERN to visit the place where things happen in science: the particle accelerator. Over 1,500 innovations were presented by seven-member teams within the categories established by TED: IoT, Industry 4.0, e-health, digital education, cybersecurity, and other technological projects. From those 1,500, the jury had to work really hard to come up with the final results. If you are among the non-chosen ones, you should know that the gap between the top 50-or-so projects was incredibly tight. The following list highlights the four teams that were awarded by the jury. I have translated the information about the teams, but the videos from the students are only in Spanish. I hope you will find them as thrilling as I do! Description: AGROTECH implements a prototype to automate the systems to manage livestock. Using Arduino and a series of sensors, it is possible to monitor and refill the livestock’s food and water, control the light and ventilation of the stables, report alarms like fire or intrusions and eliminate leftovers. All information is captured in real-time and displayed on a website. Description: Virtual Detective is a virtual, guided tour to the school. The students have hidden a series of challenges along the way that are related to different school subjects. The virtual space is a gamified version of the class that helps the kids learn in an alternative way. Description: REPT is a trash bin prototype that can classify the leftovers and will run a lottery among those recycling once the bin has been sent to the recycling station. Description: ALPHAPSI consists of an application made in Processing that connects to a VR head-mounted display capable of detecting the wearer’s head movements. Thanks to a series of tests consisting of tracking an object moving in the VR space, the system can follow the movements and will help generating a diagnosis and treating students with attention disorders. 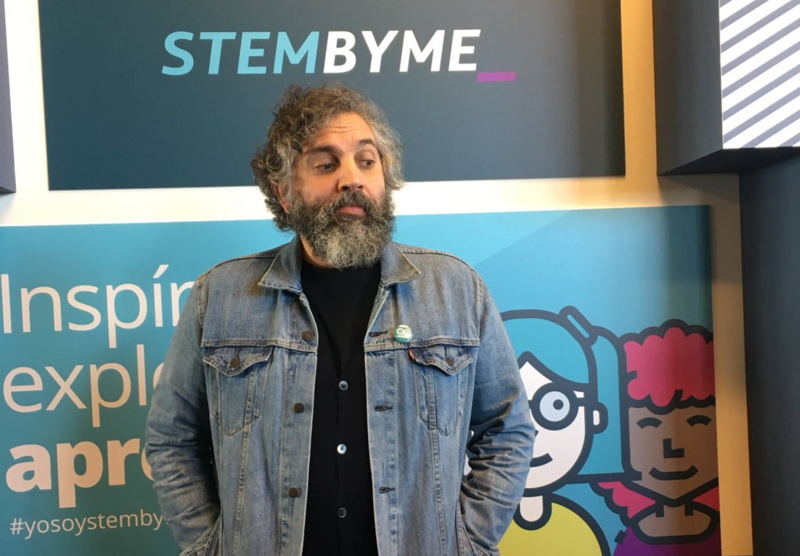 The Desafío STEM project is an initiative of Telefonica Educacion Digital and their project STEMbyme.